This morning's breakfast: Hardee's Croissant and Orange Juice. Location: Somewhere in Indiana, I think. Josefine's New Talent: Drinking Mama's Orange Juice from a straw. 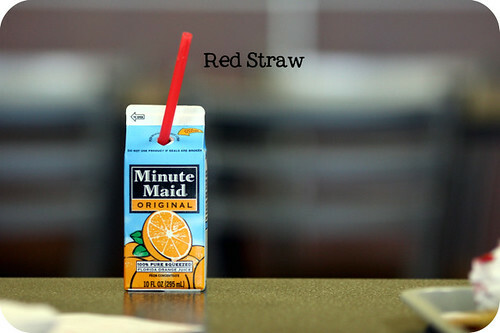 A Red Straw to be exact.